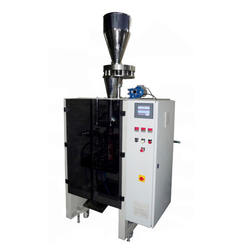 Our product range includes a wide range of multihead weigher bagging machine, plc collar machine, multihead weigher with servo bagger and plc collar packaging machine. Capacity 50-80 pouch per minutes. Power Consumption 6.5 KW 415 Volt 50 Hz. Capitalizing on our in-depth industry knowledge, we are engaged in offering an extensive range of Multihead Weigher. Manufactured at par with the set industry standards, these machines are fully-automatic. These are helpful for completing in an ail process from feeding, weighing, filling and bag-making. Known for their accurate weighing precision without crushing the material, our range caters to the requirements of numerous industries. Power Consumption 415 VOLT 50 HZ. Being a market head of this area, we give the handpicked nature of PLC Collar Machine. Known for their reliable execution and easy to use operation, the collar machines are fabricated by utilizing present day hardware. 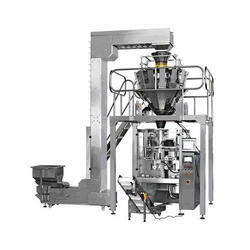 Having a year of involvement in this area, we are included in offering best nature of Having a year of involvement in this area, we are included in offering best nature of Multihead Weigher with Servo Bagger. Multihead Weigher with Servo Bagger is refreshing among the clients, because of their incomparable quality and high strength. 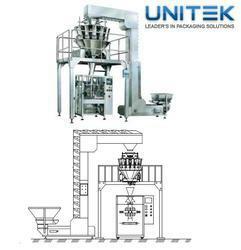 The offered Multihead Weigher with Servo Bagger is for the most part utilized for pressing of the considerable number.